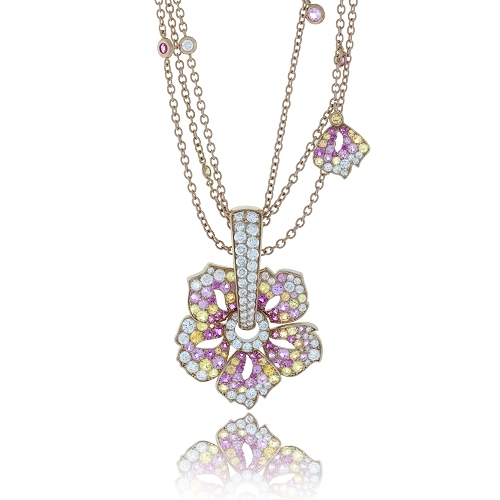 Multiple rolo chains of 18kt rose gold with leaf charm and diamonds by the yard stations, centering a floral pendant, all encrusted with diamonds, pink & yellow sapphires. Diamonds approx. 2.16ct. Necklace 16".